The primary focus of the Ashram Program is the evolution of the individual. Through these individuals, Mount Soma will flourish and through Mount Soma, the world will evolve. This is our sole purpose. It is clean… pristine. It is offered in love and purity. The Ashram Program is exquisite. There is no higher heaven. The Ashram Program is structured in a manner that accommodates all types of people. The only way to truly understand it is to experience it. For that reason, the minimum commitment is six months. Applications will be reviewed prior to acceptance into the program. Prerequisites include one year of Surya Ram Classes and a minimum of two week-long Meditation Retreats at Mount Soma. For more information and an application, please contact us. 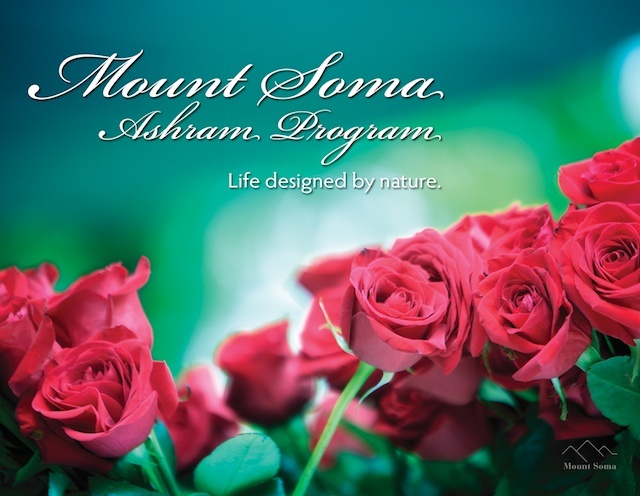 An alternative to the Ashram Program is the Mount Soma Work/Study Program. These are designed for those who wish to dedicate as much time and effort as they can to their evolution but are unable to commit to the Mount Soma Ashram Program.